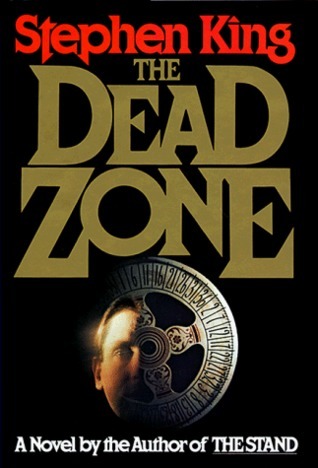 Is there really much point in giving a brief introduction to The Dead Zone? It was a TV show, a movie, a bestselling book, and has been in print for almost as long as I’ve been alive. The only thing I feel the need to point out is that despite being a Stephen King novel this is not a horror story. I know King has a wide palate now, but his early work and reputation was built upon the horror genre. With the title as it is and a story about a psychic trying to stop Armageddon, you could be forgiven for stepping into this novel expecting a horror novel. Give me a break, I didn’t read the blurb or any reviews. The supernatural elements of this story disguise a tale of living life after a setback (car crash and coma). Cut the finale and downplay the psychic angle (maybe drop the aspects that resemble plot development as well) and you have a literary novel. It is these extra elements that make this story worth reading whilst making it a very human novel to read. This is certainly a great example of King’s work and demonstrates why he has been a bestselling author for 40 years.